In the brave new digital world, we have a lot of ways to share our travel photos after (and sometimes even before) we return from the trip: social media, on-screen slideshows, video montages, and of course the enduringly popular paper print. 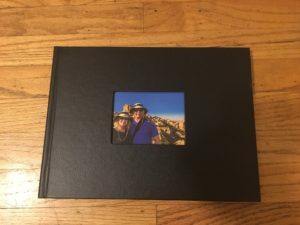 Even with all of these very immediate sharing options, one of my favorite formats for preserving my travel images is the hardcopy photo book, and today there are more choices than ever before regarding how to create these wonderful keepsakes. Our living room bookshelf and coffee table are home to more than a dozen photo books, each one showcasing the images and preserving the often fleeting memories of the details of a major trip we’ve taken. Here’s why I love this method of sharing travel photography and how to create your own photo books. 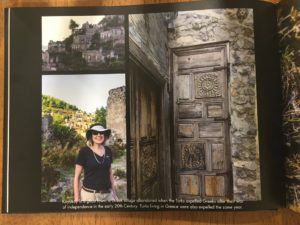 The leather cover of a photo book showcasing our recent travels in Turkey. 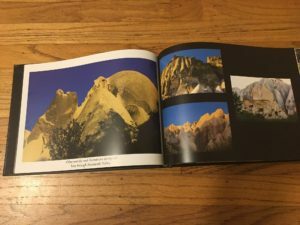 Why create a photo book? Over time, new digital formats replace existing ones, and the very old ones become obsolete. Within about 20 years, it is quite likely that none of our present formats of storing data will still be readable. The printed page has much more staying power. It is estimated that photos printed on high quality paper using high quality inks, and stored away from direct sunlight, can last for 100 years. I’m a big fan of framed prints, as well, but a photo book is more cost-effective and space-efficient as a means to preserve many more photos than we could easily hang on our walls. And because photo books can include customized captions to accompany the included images, they’re a great reference source for refreshing our memories about what we saw, when, and where. Finally, photo books look great and are fun conversation-starters to tell the story of our travels when friends and family come to visit. How do you create a photo book? There are a number of methods, but unless you are a scrapbooker or handy with bookbinding, all of them involve sending your specifications and images to a vendor that will print the book, bind it, and mail it to you. 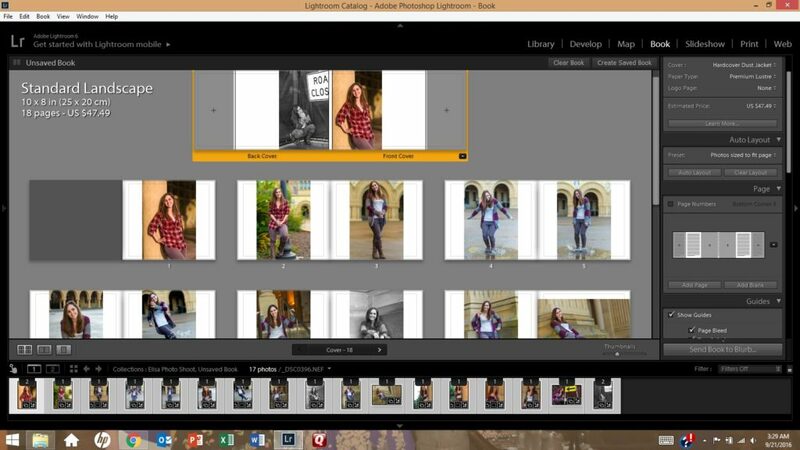 Some software packages, including Lightroom, have built-in modules for creating photo books. And most photo sharing websites, including SmugMug (a fabulous site used by many professionals including me), Snapfish, Shutterfly, and Apple Photos, allow you to create and purchase photo books from your images. These services vary in features, price, and quality, so shop carefully. Most of my past photo books were created using Snapfish, but I am transitioning to using Lightroom’s and SmugMug’s services instead. I will report on the results in a future post. Good book-creation software should allow you to choose from a wide range of formats on each page to display one or several photos plus text. The basic process works similarly for any of these services. You specify the book size, cover material, paper quality, printing quality, and other basic parameters for your book. Then, you fill the pages of the book with your photos, specifying the layout you want for each page. You can add captions for individual images or series of images, and you may be able to add various special effects. At the end of the process, you place your order for the book to be printed and mailed to you. Using the service offered by Blurb, which is available via SmugMug and Lightroom, you can self-publish a large or small print run of books and make them available for sale on Amazon or directly on your own website. The process of creating a photo book using Lightroom’s Book module (shown here) is fairly straightforward. It’s even more intuitive using an online service such as Snapfish or Shutterfly. When you receive your photo book a few days after placing your order, you’ll have a keepsake suitable for sharing with visitors and for preserving your own precious travel memories. A two-page spread in our Turkey photo book showcases several images of the incredible rock formations in the Cappadocia region. Have you created photo books from your travel images? Which service did you use and how was your experience? Please share your thoughts here. Interested in reading more posts about sharing your travel images? Click here to see them all: http://www.to-travel-hopefully.com/category/travel/share/.